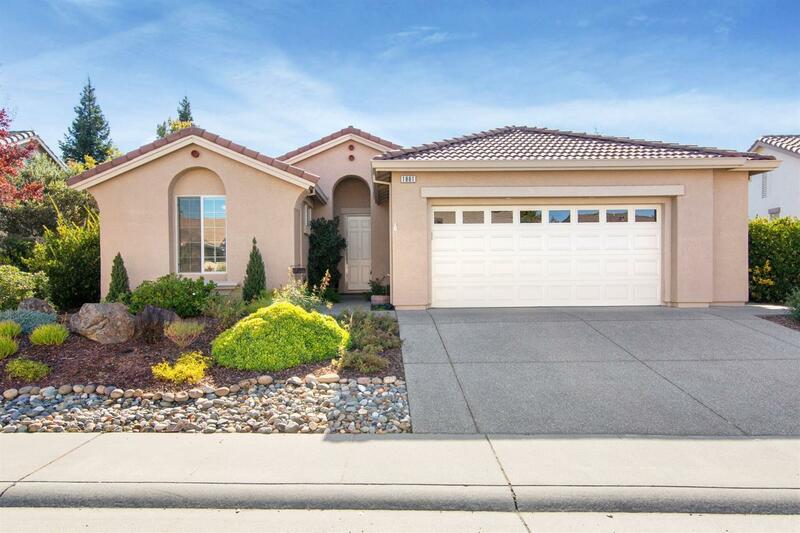 Hard to find Mendocino (two bedroom en suites & half bath) on oversized lot nestled in the heart of Sun City. Remodeled kitchen with quartz counter tops (lowered bar on island), subway tile backsplash, white cabinets, stainless steel appliances & pantry closet. The spacious great room has built-ins, cozy gas fireplace & enough windows to let all the natural sunlight in. The backyard is a gardener's delight including your own personal spa which comes in handy after a long day of pickleball!